For those who were fans of the Commodore 64 and Amiga, you're probably already fans of the person I'm featuring for today's "Where are they now?" article and that person is Dutch video game composer, Jeroen Tel. So technically he's still a composer of PC game music but since I've only ever played DOS games it might prompt the question, how on Earth did you hear about him? 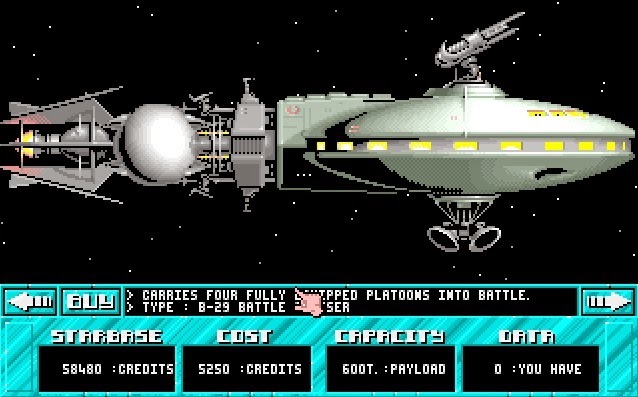 Well I really enjoyed playing a game called Overlord aka Supremacy: Your Will Be Done in the early 1990s and it so happens that Jeroen Tel composed the music for the Commodore 64 version of the game which arguably has the best version of the theme. I still enjoyed the music for the PC version too but that was thanks to the talents of David Whittaker (who we will talk about another time). Jeroen Tel was born in Helmond, a small city in the southern Netherlands in 1974. He started tinkering with SID music (the Commodore PC's Sound Interface Device) while still a kid in the early 80s but his professional career started in earnest around 1987 when he and Charles Deenen formed the music group Maniacs of Noise (which exists to this very day). Tel was quite prolific during the late 80s and early 90s, producing music and sound effects for several games, mainly on the Commodore 64 and Amiga platforms. His tracks are frequently remixed by fans and famous games he's worked on include Turbo Out Run (1989) (apparently his favourite C64 soundtrack that he's composed), Golden Axe (1990), Overlord aka Supremacy: Your Will Be Done (1990), OutRun Europa (1991), Robocop 3 (1992) and Lemmings (1993). Apparently, Lemmings was the last time he composed music for a commercial C64 game and it was during the mid 90s that Tel started to diversify not only onto different platforms but eventually different media such as film and websites. Tel continued to work on game music right up to the late 2000s although by this time he was mainly composing music for Xbox 360 Arcade titles, mobile games and web-based casual games on Zylom (a Dutch paid casual games website). In terms of the past few years, it's hard to tell from MobyGames or his website what he's been up to recently as it only provides a huge list of the 200+ projects he's worked on (but without any dates attached to them). I'm hoping he's still composing music and it'd be awesome if he were attached as a composer to some indie games - the chiptune scene has definitely seen a resurgence in the past few years thanks to them, so Jeroen Tel would be a prime candidate considering he was actually there when the chiptune scene began. Jeroen Tel retro VGM Where are they now?